Have you ever found yourself, in the heat of the moment, admonishing a child with words meant to wound? You’re just so angry – all your buttons pushed, that you lash out with your words, spitting them out like bullets meant to strike the very heart of the child. Oh, then later the guilt. That moment before sleep where your words come back at you like a tsunami, your own self-shame standing on your chest like a giant, that hurt little face playing over and over in your head. When shaming a child sneaks in as a regular visitor to the child management toolbox, it’s time to take stock and make some significant and immediate changes. Children need to grow up knowing their worth and shaming is a sure-fire way to erode that. 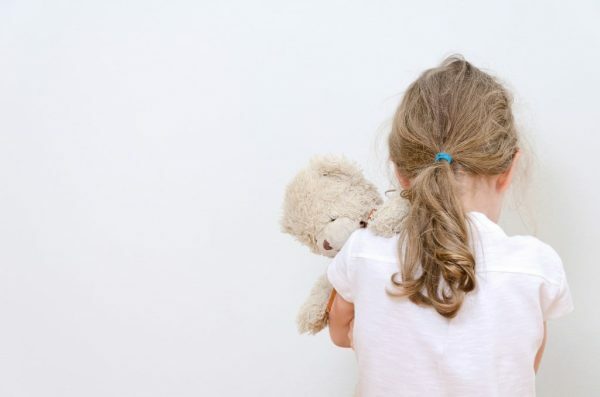 Shame makes the behaviour about the child – and not the action. Read that again. No behaviour ever was changed or eliminated with shame or humiliation. Shaming looks like balling out a child in front of their peers – or in front of their siblings in a way that’s meant to draw public attention to the child and their wrong-doing. It can also be done adult-to-child in a demeaning and meant-to-humiliate way that has the child wanting the earth to open and swallow them up. You want to be a good girl like your sister, don’t you? I can’t believe you just did that! When a child is singled out and ‘punished’ either through ‘time-out’ in sight of others or sent to perform a shame-task – like picking up litter in view of their peers, what we’re relying on is the child feeling so humiliated that they won’t engage in the same behaviour again. Let’s think about it in the workplace – would that work? You’re in a meeting and lean over and whisper something quietly to a colleague. The meeting chair asks you to stand up out of your chair and go and stand facing the corner for 5 minutes and to think about your behaviour of interrupting the meeting. Resentment, anger, depleted self-worth, feelings of humiliation, patterns of avoidance (which doesn’t build skills) are common outcomes of shaming. It’s not how we should ever think about shaping behaviour we want. Aligning with the values you want to bring out and use as a parent – the ones that you afford many other humans, is your starting point. Make a list of those values; respect, integrity, empathy, forgiveness… and then make sure your chosen approach to managing behaviour aligns with those. Remember that you’re the grown up – and that means loving, nurturing, respecting and growing a child – even one who frequently rubs you up the wrong way. Your words do matter. They do travel beyond their ears and settle into the creases of their hearts. They do whisper to a child’s self-worth and sometimes that whisper can become a soul-splitting screaming to a child about their lack of worth. Careful with that. Breathe – it sounds ridiculously simple and it is… with practise… in moments you’re not tearing your hair out. Even a single long inward breath through your nose and long, sustained outward breath changes the way your brain is working. That breath catapults your brain into something called Executive Functioning – which sounds important (and it is). Basically, it means you calm down and use your grown-up brain instead of the default toddler-brain that lives on within each of us. You can download our FREE Breathe 4 Control poster HERE. There’s not a single parent (or teacher) out there who hasn’t had a giant tantrum themselves and said and done things they later regretted. Not one! The other good news – children are super-resilient. They get over the occasional parental plonker – especially if it’s followed by a genuine apology that doesn’t include the sentiment, “When you behave like that, you make me so…” Uh-uh. The apology is one where you take full adult responsibility for your words and actions and not a shred of blame is apportioned to the child and their behaviour. A good place to start reading about feelings, moods and all that stuff – those of children and those of the responsible grown-ups shaping them, is now available. Our wonderful Kids’ and Parents’ Guides on Feelings, moods & all that stuff are now available to purchase through our online store. These books are full-to-bursting with sensational ways to understand and manage feelings. And remember your FREE download – the link HERE again. Practise a breathing technique often so that it automatically kicks in, in response to button pushing.